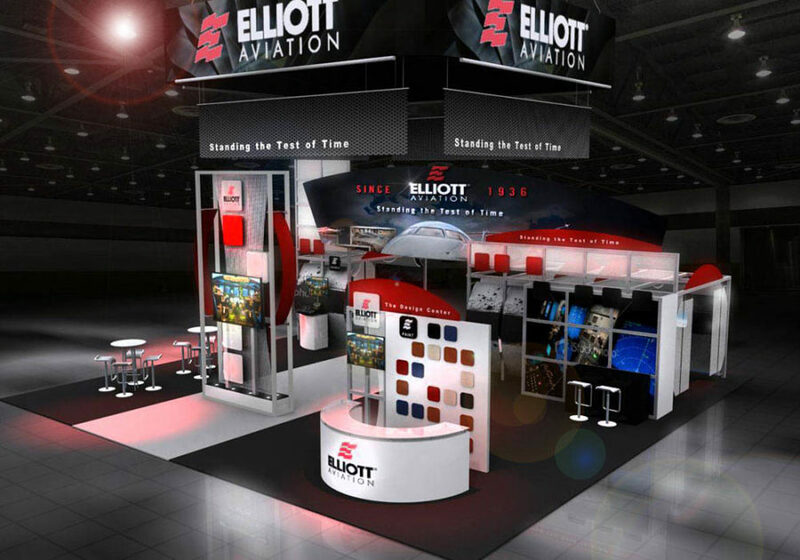 Behind every successful custom rental trade show booth, there are several things. There’s a careful, thorough design process. There’s a smart, talented and experienced sales team. There’s also a clear set of objectives, ranging from ROI targets to leads, prospects and sales goals. Setting targets is the key to achieving success at a trade show, convention or other events. With a clear, well-defined set of objectives, you can enter any event with confidence, knowing you’re there for a specific purpose. If you’re exhibiting at a trade show for the first time, it’s vital that you set objectives for your team before the event. Below, we’ve shared several tips that you can use to set effective, measurable and achievable ROI and results-based targets for your first trade show or industry event. One of the most common mistakes businesses make when taking part in a trade show is setting goals that just aren’t measurable. Trade show targets need to be concrete and easy to measure. In short, you need to be able to track your progress towards success in order for a goal to be worthwhile. “Generate 200 sales leads” is a measurable goal; “get new sales leads” isn’t. When you’re setting targets for the event, make sure they’re quantifiable. The best objectives tend to be number-based targets, such as a total target for leads generated, contacts added, revenue generated or investment capital offered. Trade shows are a great environment for making deals and signing contracts with customers, but most deals are made after the show, not during the event. This means that it can be difficult to calculate your progress towards a revenue goal during the trade show itself. While your team is busy generating leads, the total revenue from every deal you make might not be apparent until one, two or six months in the future. Because of this, it’s better to focus on lead generation as an ROI metric during the event. After all, you’ll have plenty of time to calculate your true ROI in revenue/profit terms once the event is over and you’re back in the office. Another common goal-setting mistake is creating too many targets for your sales team to meet during a trade show. It’s best to focus on one goal for every event, such as a certain number of leads generated or a specific revenue target for new deals with existing customers. This gives your team a clear goal to work towards throughout the event. Beyond this goal, any other objective needs to be secondary. Instruct your team to focus on the primary goal you’ve set for the event. This way, you can view any other achievements as useful bonuses without distracting your sales reps from the main objective. There’s no need to calculate your results immediately after the trade show is over. In fact, it’s usually best to wait for several weeks before assessing your results to give your sales team a chance to follow up on prospects and close deals discussed at the event. After a month, you can measure your results and calculate your short-term ROI. Then, go back to each trade show every few months and re-measure your results — you might be surprised to see that deals from previous trade shows have increased in value over the long term. It can take years for your business to realize the true value of each trade show, making it tough to measure ROI in the short term. Take a long-term approach to trade show ROI and you’ll find that even a seemingly lukewarm event can produce a huge long-term return on investment.